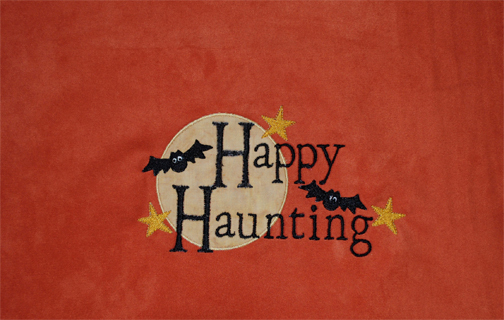 Don't be afraid to change up the colors in your embroidery designs. Just because it shows up as an orange moon, doesn't mean that you can't make it yellow! 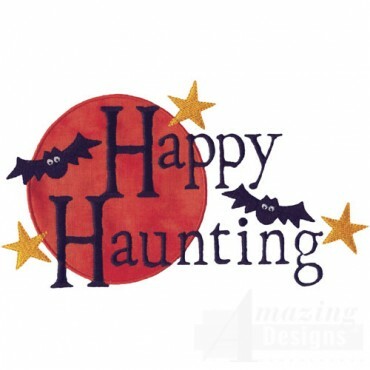 This project uses Happy Haunting by Amazing Designs, a companion design to last year's Halloween blog. Although it was just fine the way it is, I had just purchased a piece of suedecloth a lovely shade of pumpkin and wanted to use it as the base fabric. That meant I had to choose a different color for the moon. I had a maize-colored piece of batik that was perfect. Use sheer lace or organza for the moon applique. Try making the lettering purple. Use metallic threads for the stars. Try reverse applique for the moon. This design could also be stitched into a treat bag for your special goblins. Make it extra spooky with glow-in-the-dark thread! Two (count them - 2) Tips you won't see anywhere else. Quit Needling Me!